Our goal is to get you and your family through the hardest things in life with as little harm as possible. In order to provide the absolute best representation to our clients, we focus on only three practice area: Family Law, Estate Planning, and Bankruptcy. Our family law practice includes: Divorce, Dissolution, Child Custody and Support. Our estate planning practice includes: Final Will and Testament, Living Wills, Health Care Directives, and Power of Attorney. Our bankruptcy practice is limited to Ch.7 Bankruptcy. Counties Covered: Hamilton, Clermont, Butler, and Warren in Ohio and Boone, Kenton, and Campbell counties in Kentucky. Our goal is to provide affordable and compassionate legal services to that you can rest assured that your matter is handled competently without adding the stress of outrageous legal expense. Our process: 1. We receive your call, email, or form submission. 2. An appointment with an attorney is set up and you are provided with our divorce questionnaire. 3. You meet with us at one of our five convenient locations or through a virtual session. 4. After your free 30 minute meeting, if you decide to move forward, a retainer will be collected and your file will be initiated. 5. Your divorce will be filed as quickly as the information we need is gathered. 6. Every divorce is different and the way forward will be based on your specific situation. There will be several decisions to be made along the way, after your attorney explains each decision, the likely outcome of that decision, and a cost/benefit analysis, you will have full control over how to proceed. 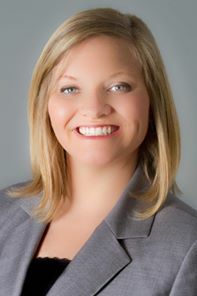 Tonya handles all aspects of family law: divorce, dissolution, separation, custody and support. She has extensive experience with each element from negotiations to litigation. Tonya has completed the training for and is on the active appointment list as a guardian ad litem in Hamilton and Clermont Counties. She has over sixty hours of training in mediation services, with an emphasis on family/divorce law. Tonya has been a member of the Kentucky National Guard since 2001. For the first seven years she worked as a military police officer, including a deployment to Baghdad, Iraq where she was awarded several medals including a Purple Heart. In 2008, she commissioned as a Signal Officer and spent the next seven years in service to the 149th Brigade as a platoon leader, executive officer, and company commander. Tonya is currently a Judge Advocate, serving as cyber law chief for the Kentucky National Guard. Tonya is married and lives in Northern Kentucky with their six children. Chase College of Law, Northern Kentucky University. I Cant Do This Anymore...i Need A Divorce. Where Do I Go? What Do I Do?